Palo Santo is a mystical tree that grows on the coast of South America. 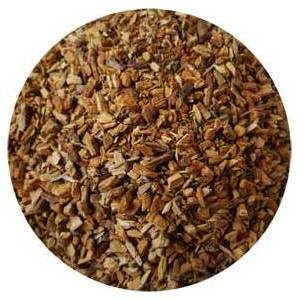 The name means 'Holy Wood" and is used in spiritual rituals for its cleansing and healing properties. It has an uplifting and calming aroma that will allow deeper mediation. 1618 Gold herb, 1 oz cut packaged.